Check out our selection of free e-books! Sometimes I feel I just need to “catch up” spiritually compared to others. How do I learn to hear the Spirit’s voice and know how and when to say the right thing? When I read that for the first time I thought: Me too! Other people knew how to do small talk; they knew how to greet people, to be hospitable and to put those that they met at their ease. I stood on the outside looking in, wondering how they knew what to do, and where on earth did they learn it? As I grew older I found out that it wasn’t just socially where I fell short, like Ezra in the novel. There have been times in my life when I have felt that I have been playing “catch up” spiritually. It seemed that others had a better understanding of how the Spirit could guide them, also in regards to their relationship with others, but I had somehow missed out and couldn’t find that “narrow little dividing line” between what is edifying and what isn’t. Somebody once said that learning to hear the voice of the Spirit accurately is one of the hardest things we ever have to do; but the thing is, we can learn it. By nature, we judge by what the eye sees and the ear hears, but God looks into the heart and weighs motives and intent; and this is what I have to do with myself too. I have to let the Spirit bring hidden things into the light, and in that way I understand the motive behind my actions. I will learn that some of the things I am about to say are motivated to make people aware of something good that I have done, or to get approval from someone I admire. By letting the Spirit bring these things into the light, I learn to differentiate between what comes from my own will and what comes from the promptings of the Spirit. Although I can learn how to act socially by copying other people, I can’t learn to understand the promptings of the Spirit by doing what others do, saying what others say, and going where others go. (John 3:8) If the Spirit prompts me to do or say something nobody else will know but me. The first time I clearly remember being forced out of my comfort zone by the Spirit was when some people we knew had experienced a tragedy. We weren’t their closest friends, but I had a strong sense that I should go and offer comfort. I was not a natural comforter. I did not feel I had any words to say. I was, in fact, totally unprepared and ill equipped to be of any use to anybody in this situation. My main fear was that they wouldn’t want me there and I would be in the way. What I really wanted to do was ask somebody else if I should go? And I did learn something very valuable. I found out that I hear the voice of the Spirit much clearer when I have no ulterior motive; no desire for honour or respect or thanks. And as I learn to silence these thoughts the process becomes easier. When I say “God help me,” then He does. I learnt to face down fear when I am led to speak or bless or help when I feel I have little human capacity. And I learnt that yes, the Spirit does need me to listen and act, and this is both a grace and a responsibility. The Lord my God will enlighten my darkness. By my God I can leap over a wall. He is a shield to all who trust in Him.” Psalm 18:28-30. How can I hear God’s voice? Scripture taken from the New King James Version®. Copyright © 1982 by Thomas Nelson. Used by permission. All rights reserved. Explore how God’s Word challenges and empowers us to live 100% according to His will, so we no longer need to fall in sin, but can come to a life of victory. 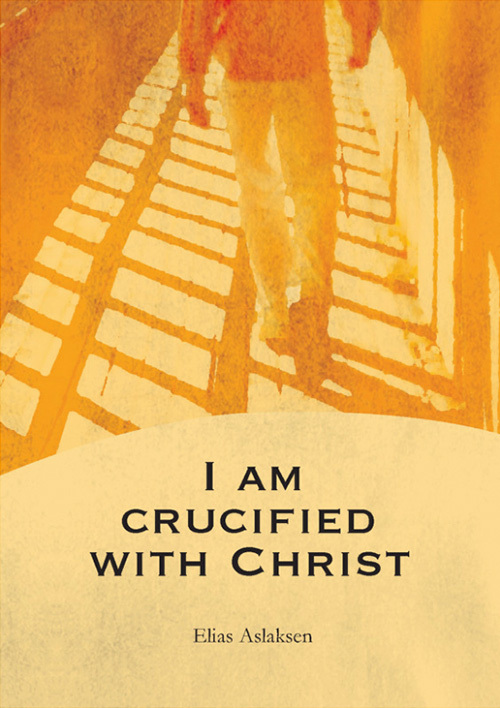 This booklet is based on Paul’s words in Galatians 2:20: “I have been crucified with ChristJesus was physically crucified on the cross at Calvary. Though blameless, He took upon Himself the punishment for sin, which was death, so He could pay our debts and forgive us our sin if we are willing to believe in Him and follow Him the Apostle Paul wrote: “I have been crucified with Christ…” (Galatians 2:20) This is a metaphorical... More; it is no longer I who live, but Christ lives in me …” Here Elias Aslaksen explains what this means and how the reader can have the same testimony as Paul in their own life. A personality test experience that brought light to my own flawed presumptions deduced from human perception. The inestimable power of thankfulness can turn any situation around. A reflection on the motivations behind the good works that we do. 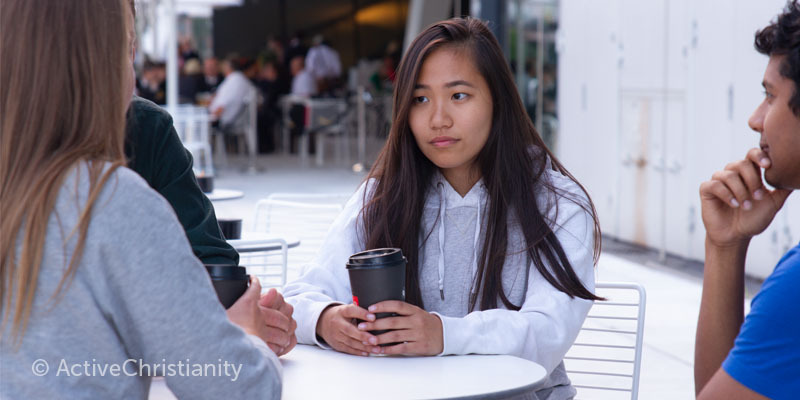 ActiveChristianity® by Brunstad Christian Church explores how God’s Word challenges and empowers us to live 100% according to His will, so we no longer need to fall in sin, but can come to a life of victory. Reproduction of material from the ActiveChristianity website for use elsewhere is prohibited without prior permission.